NuVet® has been making the finest nutritional pet supplements since 1997. 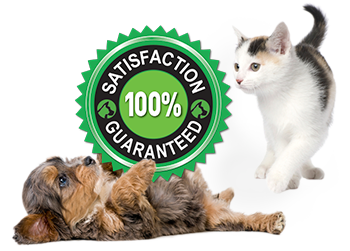 Our mission is to provide your pet with products that are completely safe, nutrient-rich and formulated to strengthen the immune system and give your pet many healthy years of life. We are proud to stand behind our products with a 60-day, 100% satisfaction guarantee! If after trying the product you are not satisfied for any reason, follow the simple instructions below and we will give you your money back.